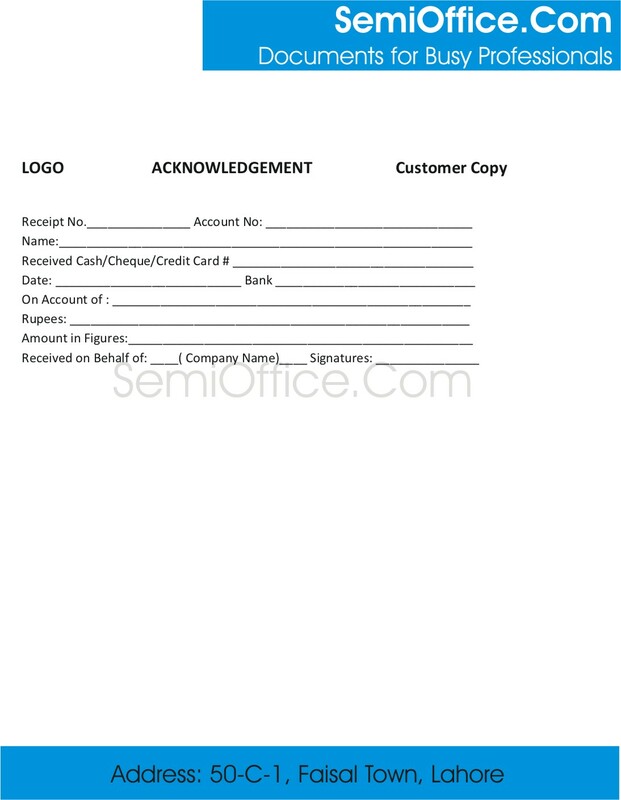 Sample acknowledgement receipt Template for receiving payments and bills from customers, Clients and employees. This slip is used by many multinational companies and organizations. You just need to download the attached acknowledgement Receipt in MS word and excel formats to start using this billing slip. We will now our selves contact you tentatively after two weeks. Your application shall be treated as valid for an further consideration in future. I am writing this to inform you that goods delivered by your staff have been received at our premises and upon inspection and counting, we have found them satisfactory. The detail of items is attached with this letter. Kindly, send us an invoice as early as possible so that we can pay in the specified time. I hope that we will keep up this working relationship.